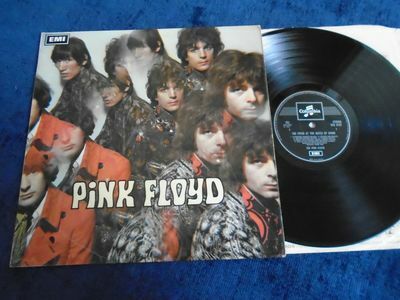 PINK FLOYD 'THE PIPER AT THE GATES OF DAWN' A UK STEREO 1970/1 REISSUE VINYL LP IN LOVELY FULLY TESTED ORDER . (3419-1 , 3420-1 matrices) . VINYL VISUALLY VG+ WITH ONLY LIGHTEST HAIRLINE COVERAGE , NO FEELABLES ETC . PLAYS EX . FULL TEST. FRONT-LAMINATED FLIP-BACK SLEEVE EXCELLENT- a little entrance wear and creasing . General very light other shelfwear & mildest corner buffs . Tremendous sleeve ! <> PAYPAL ONLY <> UK POST FREE /// ANY OTHER WORLD DESTINATION 6 GBP ONLY .